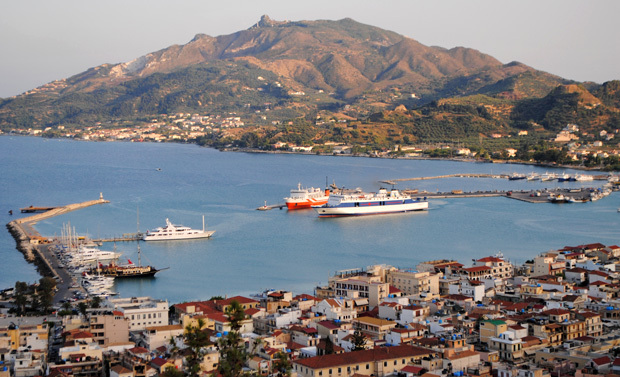 Before coming back home, we want to bring you with us around the city of Zante suggesting you some precious addresses in order to make shopping. From the architectural point of view the earthquake that upset the island in 1953 has saved really few buildings, so let’s start from these! At the end of the seafront there is the large Solomos square, whose name derives from a very famous poet of the island. Next to the square there is Saint Nicholas of the Mole that is one of the more ancient churches of the island that still keeps the liturgical ornaments of Saint Dionysios, the island protector. Little more ahead we can visit San Marco square, a picturesque small square built by the Venetian during their occupation. Here there is the only catholic church of Zante. Near San Marco square we suggest you an interesting visit to the Byzantine museum and the Museum of Solomos and Kalvos, the two most famous poets of Zante island. From San Marco square starts Roma street, a long pedestrian old paved road, full of every kind of stores with gifts for any pocket. It will be amusing and relaxing to walk up and down between several traditional workshops and small shops. After visiting some cultural places of the town and after some shopping, we want to bring you to the small jewel of the city of Zante: Bochali. Come back to your car, then go the end of the city of Zakynthos holding the sea on your right and take the road that on your left goes up through the city taking you to the higher village of Bòchali. Bochali is a small village of few inhabitants, placed just above Zakynthos town. From here there is a stunning view and you can admire in the same time all the city, Argasi, the coasts of the Peloponnese and far away the bay of Laganas. In Bochali you can visit also the ruins of the ancient Venetian Castle that is the old fortification of the town. After the earthquake of 1953 is remained very little, but the pine forest all around is wonderful and the panorama is worth alone the paltry price of the ticket. At Akrotiri North beach bar you can always order soft drinks, beers, traditional Greek wines or cocktail prepared by our barmen. Have a swim, relax on the grass and have a mojito, a pina colada or a daiquiri while watching the blue sea.